“Pattersen's impact on our team has been enormous this year,” Pavey said. “In the game of lacrosse, winning at the faceoff X can be the equivalent of ‘make it/take it’ in pick-up basketball. His ability to win faceoffs and force opposing teams to play defense following a goal is a huge team advantage. He’s a natural lefty, but D’Alto can shoot equally with either hand and he’s a consistent scoring threat because of it. He’s got an advanced lacrosse IQ that allows him to see plays before they develop, and he’s just as adept as a feeder as he is a scorer. He put up a balanced 38-23-61 line as a sophomore, numbers that should spike if he continues to develop. Definitely an unorthodox player, but almost any coach would love a player like Vince. He shoots very well with both hands and is extremely intelligent with great vision. He has a couple of rough edges that need smoothing out, but he’s only a junior with time to improve. This kid is a winner! Yesterday, he scored 5 TDs on 27 carries for 245 yards! Vince was named 2nd Team All-LI as a linebacker. The recent addition of a shot clock in the college game will do wonders for Dolciotto, who's a tough, two-way midfielder who can do a little bit of everything. He can dodge well and has a big-time shot, but he's also comfortable on the defensive end, plays wings on faceoffs and handles man-down defense. The Swiss Army knife-type prospect brings a lot to the table. Today’s Player Spotlight goes to Tom Dolciotto. I had the opportunity to watch Dolciotto at the Fall Classic. He is the COMPLETE mid-fielder, playing defense, going straight to offense, and hustling back on defense. In lacrosse terms we call this guy the work horse. He was up and down the field all weekend playing with Team 91 Crush. I think the Crush could be the best team in the country, the team is stacked. Dolciotto reminds me of Brian Sherlock, a former Loyola and now Atlanta Blaze mid-fielder, an absolute machine. He never gets tired,dodges with everything he has, and gets the ball in the back of the net. Dolciotto has his style and he will be a force for Syosset this year. I can’t wait to watch him the next for years and I’m sure a ton of college coaches will be knocking at his door. 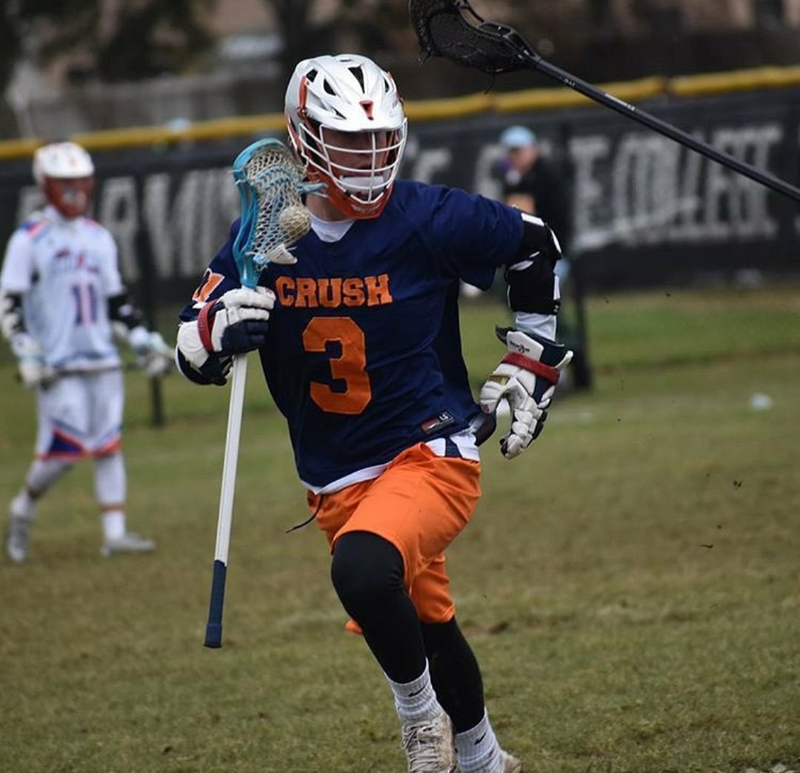 Dolciotto tends to fly under the radar on the best 2020 team in the country because his game isn't super flashy, but he's the type of two-way midfielder that every coach wants and every team needs. He's tough, seems to understand defensive concepts well and pushes the ball well in transition. In an early-morning game, he showed the ability to get into traffic and come away with tough ground balls. wanted to add- now that we've got players in like celauro and kaminska- this is basically the first i know of legacy players- kids whose dads played in the program. that's cool and we need more of that. add on the fact that oszvath's (transferred) uncle played at SB, so did brett ryan's, and even trenkle's two older brothers. this is the kind of pipeline we should be building. "He is visible all off-season putting in the extra time to improve his game. Morning workouts, late night training sessions and countless weekends at tournaments and prospect camps, he has earned his position at Stony Brook and we are proud of him representing Port Jefferson at such a high level of lacrosse." Aiden, who plays midfield and attack, scored 28 goals with 14 assists in his sophomore year on varsity, according to MaxPreps. He also serves as a face-off specialist, winning 23-of-36 faceoffs last season.